This contest is about Heroes. All entries must have the creature type of Hero in combo with any type you would like. They may be legendary but they don't have to be. I will give prizes to 1st, 2nd, 3rd and 4th, as well as up to 3 runner-up prizes. Make a heroic creature for a heroic contest. I will do it, later today. 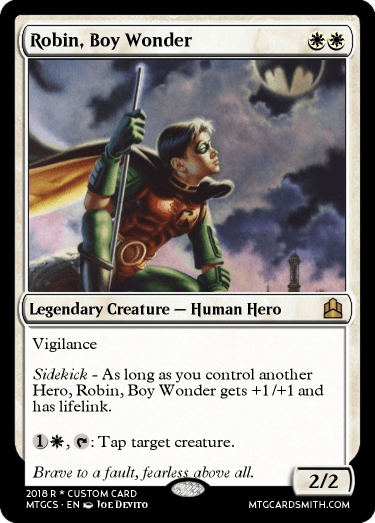 Heroic as in "heroic" the mechanic or the creature type "hero"? Never said humor can't be involved, and while he's not exactly rotflmao, it's still a pretty funny/cool card. They do not need the Heroic ability. 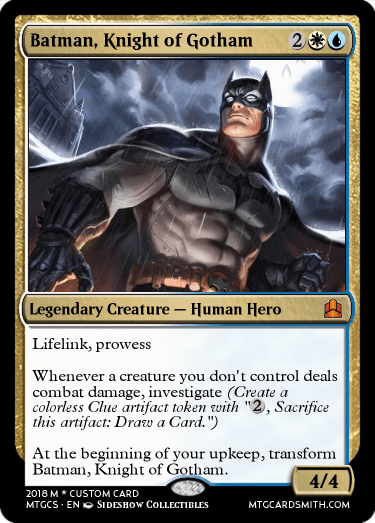 Batman is a double-faced card. Love it. I thought to myself, "When is someone going to do a superhero." Well, here's three. Cool ability. I would build a deck around that. Also, when will you judge? Sorry. Probably sometime after Christmas. 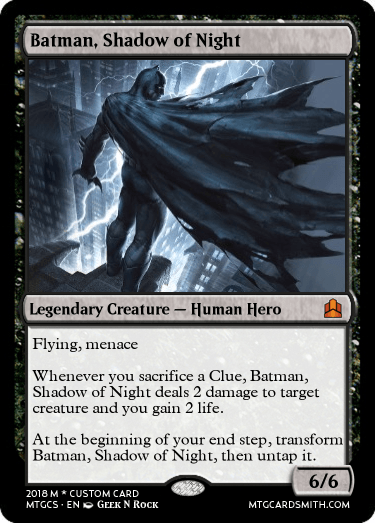 1st place is @bnew07 with Batman, Knight of Gotham and Batman, Shadow of Night. 4 Faves and a Follow. 2nd place is @Hergusbergus with Kidari, Underground Guardian. 3 Faves and a Follow. 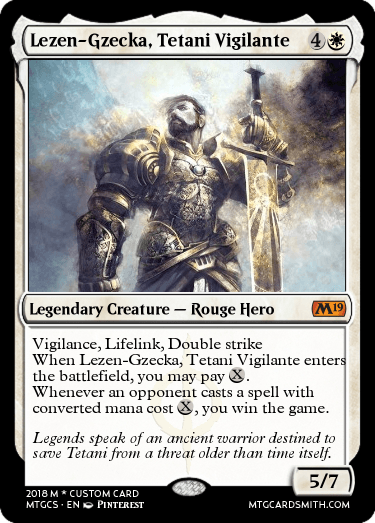 3rd place is @Mantis 17 with Lezen-Gzecka, Tetani Vigilante. 3 Faves. 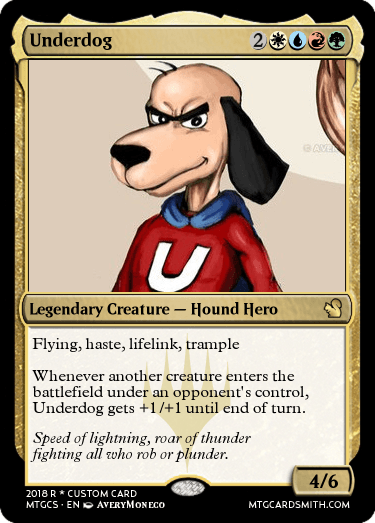 4th place is @sorinjace with Underdog. 2 Faves. Runner ups are @bnew07 with Robin, Boy Wonder, @SpellPiper2213 with Siv, Caller of Heros, and @Bowler218 with Tular, Dragon Lord. You three get 1 Fave. Congrats to the other placers as well!